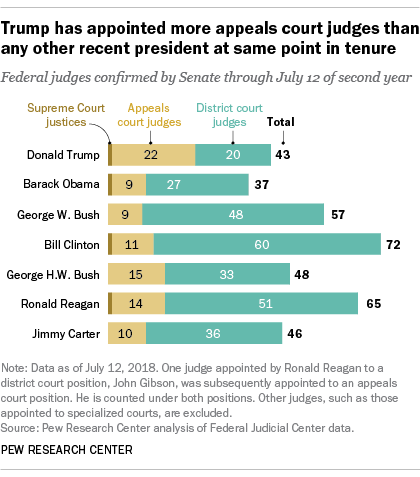 Despite his record on higher-court appointments, Trump trails his predecessors in confirmed district court judges, the lower-court jurists who are charged with deciding civil and criminal trials, rather than appeals. Trump has appointed 20 of these judges, while Obama had appointed 27 district court judges at this stage in his tenure. George W. Bush and Clinton had appointed far more than both Trump and Obama – 48 and 60, respectively. George H.W. 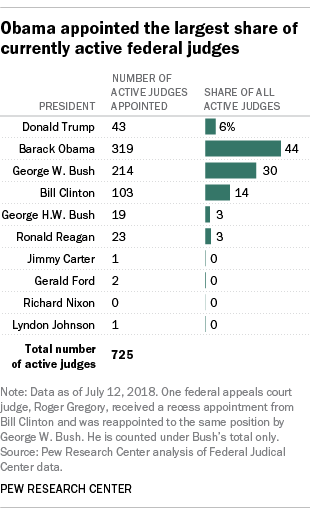 Bush, Reagan and Carter all appointed more than 30 district court judges by July 12 of their second year (Reagan had appointed 51). 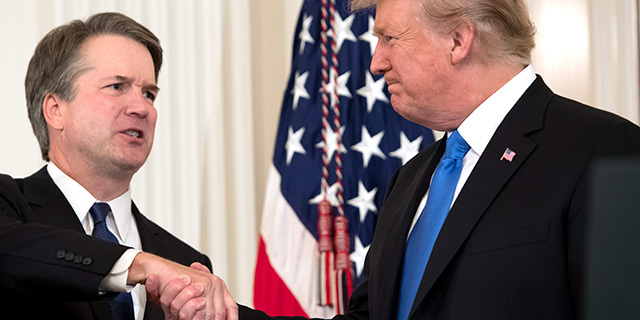 As of July 12, the current federal judiciary overall consists of 725 active judges across 94 district courts, 13 appeals courts, the Supreme Court and one additional court, the Court of International Trade. (This analysis counts only Article III judges who are included in the Federal Judicial Center’s biographical database, which excludes three district-level courts in U.S. territories.) 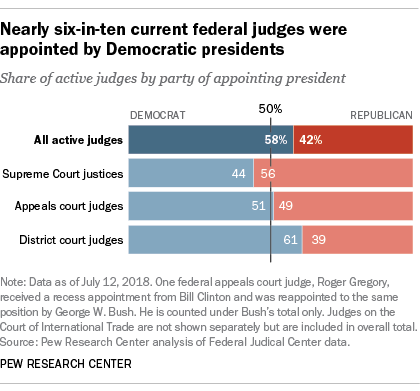 Of these judges, 58% were appointed by Democratic presidents and 42% were appointed by Republicans, according to the Center’s analysis.